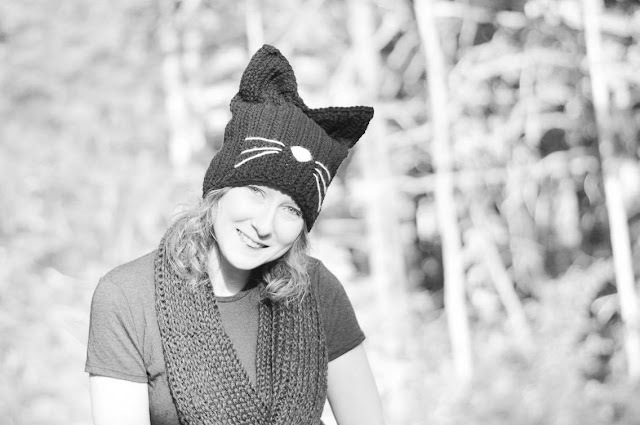 With Alex: Black Cat Hat Free Crochet Pattern! Hello! 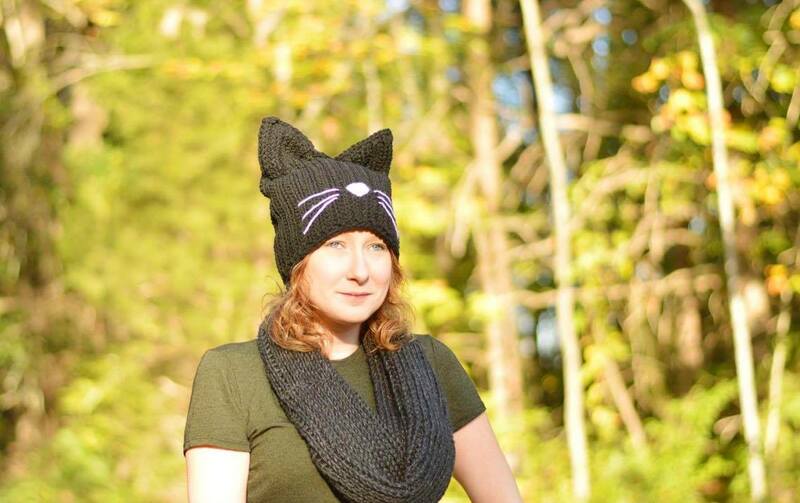 It's almost Halloween and my kitty Ziggy keeps inspiring me to make cat themed accessories. I've been wanting to make a black cat hat all summer (since I got Ziggy) and I've finally made one in time for Halloween! And it's so comfy, I wore it this morning when I took Isaac to school. And I love it so much that I want to share the pattern with ya'll! Keep scrolling for the free pattern. 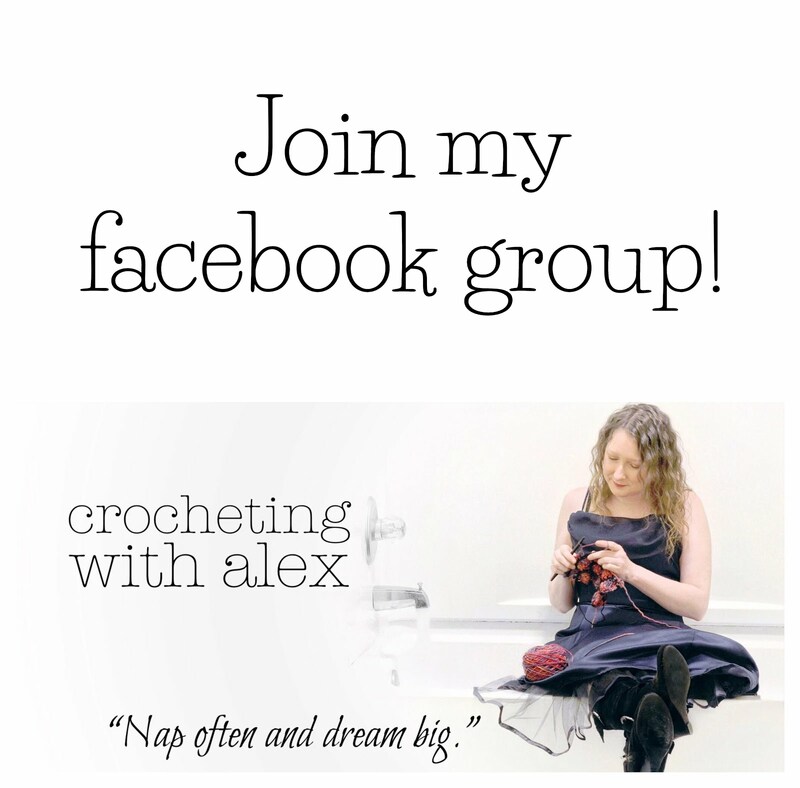 This pattern is worked in the flat, in rows and I think it has a wonderful texture. 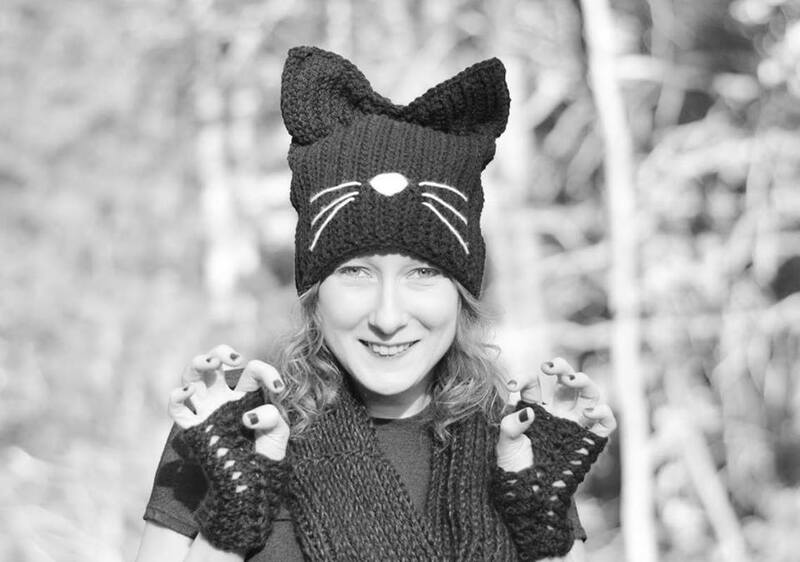 The fingerless gloves are a quick and easy free pattern by Sharon Maher called Challenge Mitts. I love them! 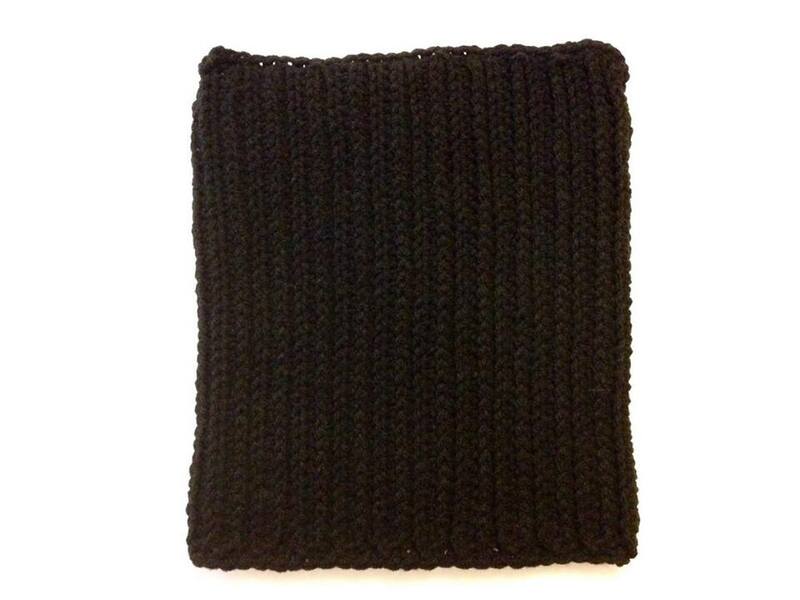 hdc BLO: half double crochet in the back loop only. Repeat R2 and R3 until the hat is 19 inches or the length that you desire and end on a R2. 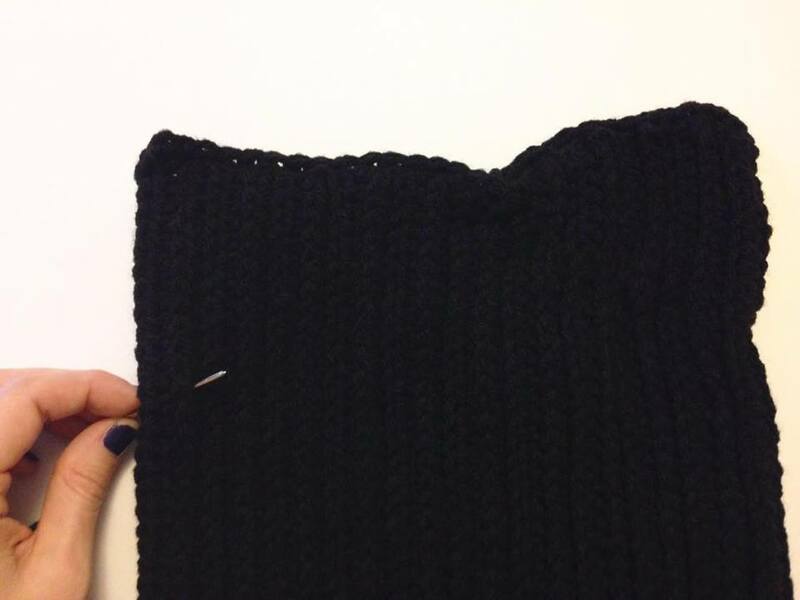 I had 44 rows in total. 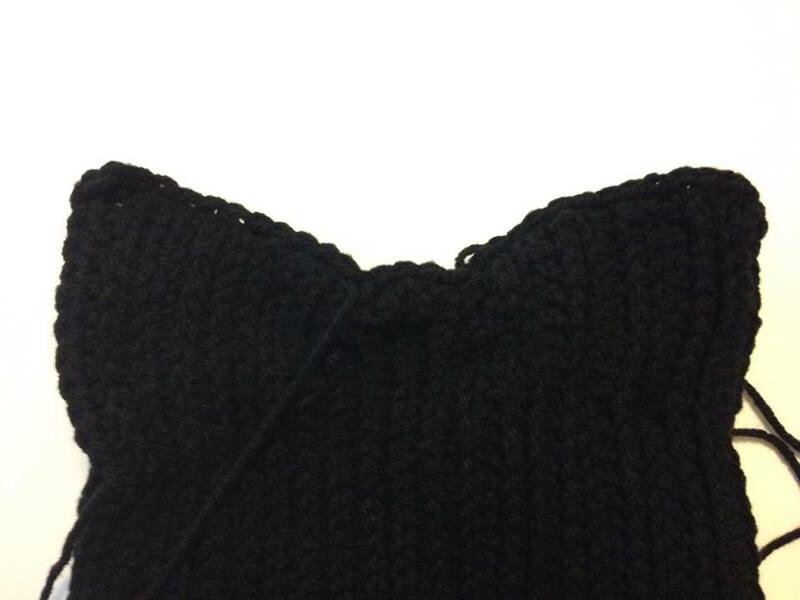 The hat is now a long rectangle. 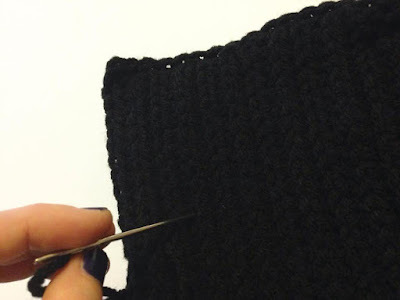 Fold in half with the right side out and connect the 2 ends by slip stitching them together across. This will create the back seam. 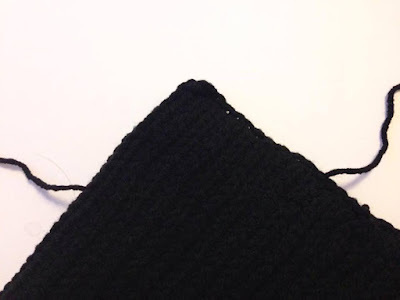 Ch 1, turn your work and sc across evenly in each row across the bottom of the hat. Sl st to the first sc or make an invisible join. 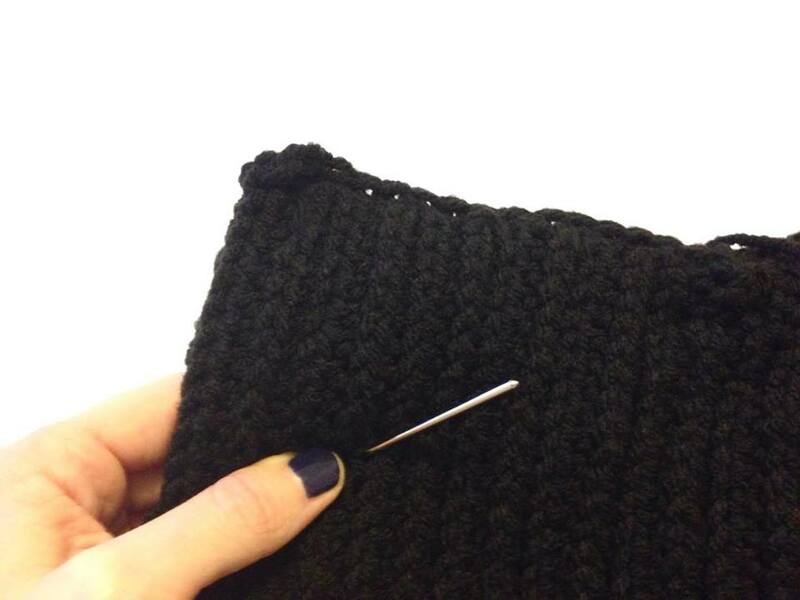 Click here for a video tutorial on how to make an invisible join. 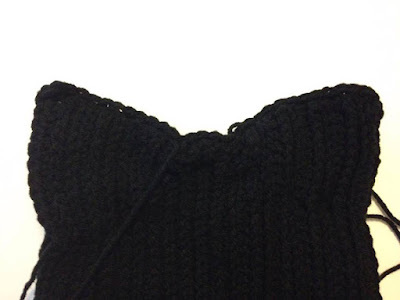 Lay the hat flat with the seam in the middle of the back of the hat. 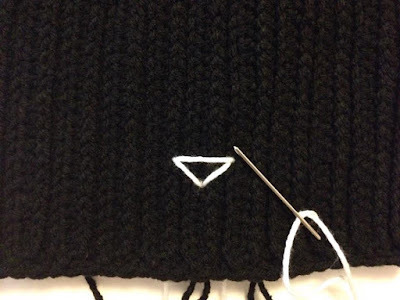 Insert the hook through the front and back on the right side, ch 1 and sc across the top of the hat. 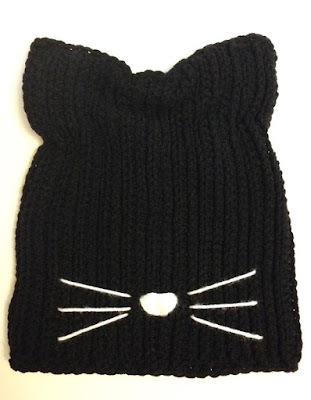 Try on the hat and fold down the cat ears so that you know how tall they need to be. 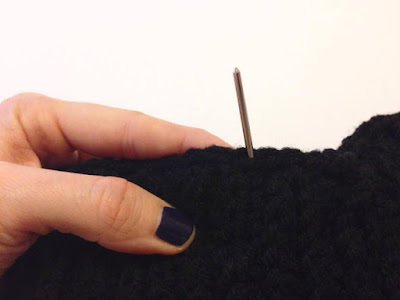 Insert the darning needle into the side of the hat, and sew loosely across. End with the needle coming out the top of the hat. Take the 2 ends and pull tight to shape the cat ear. Insert the ends into the hat, pull tightly again on the 2 ends and tie the 2 ends together in the inside of the hat. Weave in the ends. 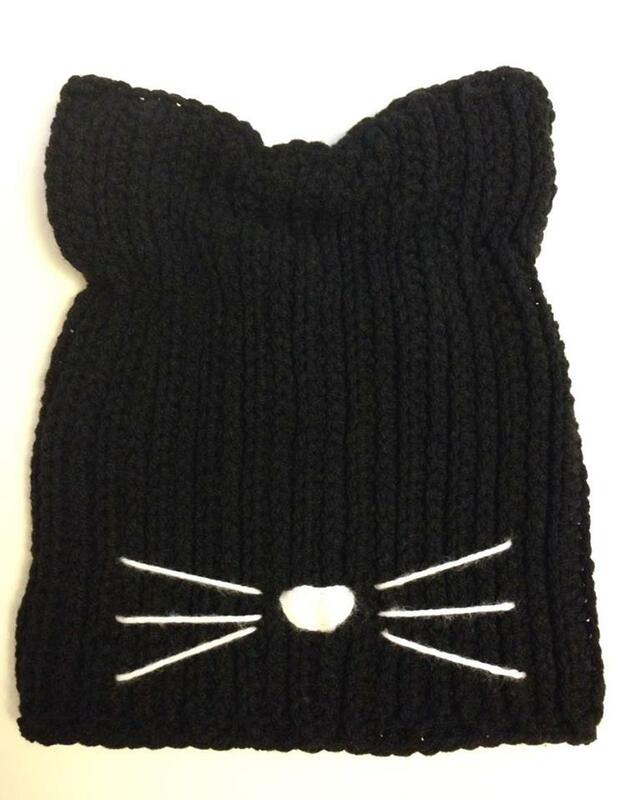 You can now add a nose and whiskers or you can leave the hat plain. I love both ways, but I really love the way the little nose and whiskers look. Now your done! 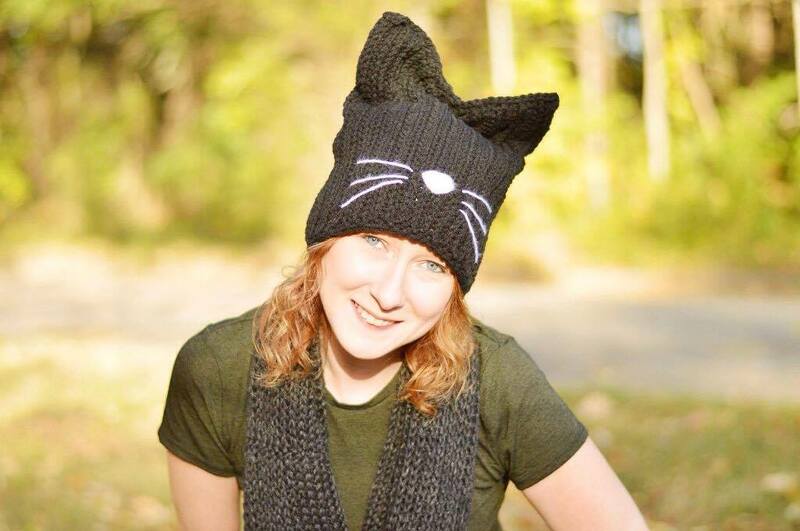 Try on your new cute little black cat hat and meow away! What are ya'll going to be for Halloween? 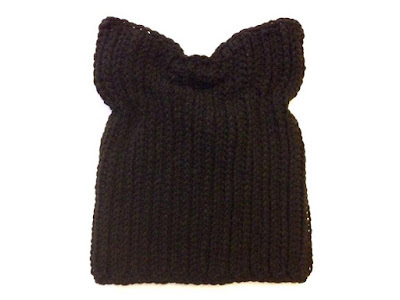 Would ya'll wear this hat at any time of the year?